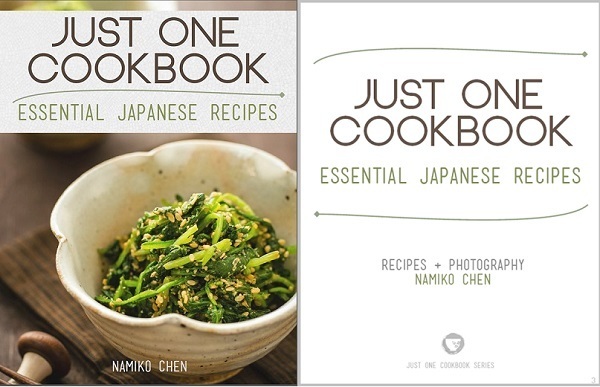 "Just One Cookbook - Essential Japanese Recipes" features 33 classic and modern Japanese recipes shared on JustOneCookbook.com from 2011 - 2013. This cookbook has over 90 pages of recipes and instructions for appetizers, side dishes, main dishes, rice & noodles, and dessert, which include 12 pages of Japanese cooking basics and pantry items. I've included some of the most popular recipe from Just One Cookbook as well as selected a few recipes that my family and I love. If you enjoy Japanese food and want to try making it at home, this is the right cookbook for you. 20% of sales proceeds will be donated to charity.